Skin conditions can be itchy, painful, and embarrassing. Rashes, bumps, and moles can stand out on your body. Skin conditions can be difficult to treat on your own and can easily get worse. When you have a concern with your skin, come to East Carolina Dermatology and Skin Surgery, PLLC, for service from knowledgeable dermatology experts in Greenville, NC. Even if your skin condition isn’t on this list, or you have a combination of complaints, our years of experience allowus to give you the answers you need and a plan for action. We know that skin conditions can be embarrassing, uncomfortable, and stressful. When you come to our office, our dermatology specialists will give you the personal attention you deserve. We'll thoroughly explain your options and answer any of your questions before you decide which option is best for you and your health needs. Our friendly staff and comfortable office will help you feel relaxed and taken care of during your visit. We are dedicated to helping our patients enjoy the skin they are in. If you have a problem with your skin, hair, or nails, don't wait to get the problem treated. 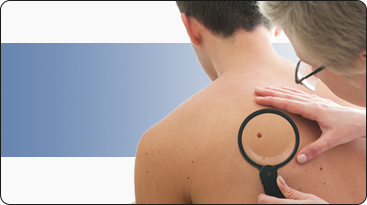 Schedule an appointment today by calling our office at 252-633-4200 for expert dermatology service in Greenville, NC.